Everything You Need to Know About the Seven Sisters Schools | Let's win college. The Seven Sisters, a collection of intense women’s colleges, formed when all of the Ivy Leagues were male-only institutions. These colleges were created with the purpose of educating women at an Ivy-League level, empowering them, and giving them opportunities that were only given to men. For the most part, these colleges still stand today, serving the same purpose they did in the late 1800s. Going to a women’s college is very empowering; people really care about your successes and support you throughout your losses. The communities fostered at these institutions are hard to find at co-educational colleges and universities. Women learn to speak up, take control, and become more confident in their voices, because women are given all of the attention. Women hold all the leadership positions, women are doing research with other successful women, and women are dominating in typically male-dominated fields. Alumnae of women’s colleges are also very successful. The first ever female CEO attended one of the Seven Sisters, and two secretaries of state are alumnae of women’s colleges. Women’s college graduates make up only 2% of the college educated populace, yet make up more than 20% of women in Congress and 33% of the women on Fortune 1000 boards. 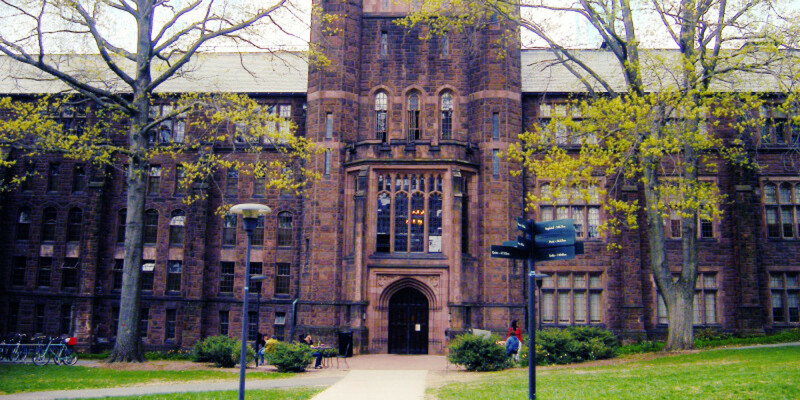 These Seven Sisters consist of Barnard College, Bryn Mawr College, Mount Holyoke College, Radcliffe College, Smith College, Vassar College, and Wellesley College. It is important to note that Radcliffe has been absorbed by Harvard, and Vassar is now co-educational. 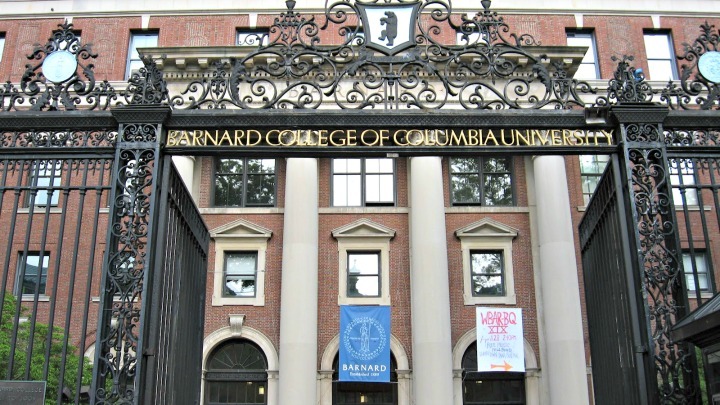 Perfectly situated in Morningside Heights, a neighborhood in Manhattan, Barnard is the women’s college affiliated with Columbia University. Students at Barnard can take advantage of all of Columbia’s clubs, sports, and classes, while maintaining a separate sense of identity with the women’s college. Barnard, while under Columbia’s “wing”, is its own institution with its own faculty, staff, and special traditions. Barnard students are beautiful, smart people who take full advantage of New York City! The college itself has programs in place to train students for jobs as bartenders and babysitters to help with the higher cost of living. Barnard gives students seemingly the best of both worlds. It is a small liberal arts college, giving students more access to professors and small classes, while also having a huge university next door. Barnard also has a tiny (but welcoming) campus in the middle of a big and bustling city. One amazing tradition at Barnard is the Midnight Breakfast. The night before the first day of finals, the college hosts a late-night breakfast buffet. Columbia students can take advantage of this too, but Barnard students get served first. Bryn Mawr College is located just outside of Philadelphia, with very easy access to Haverford College and Swarthmore College. The University of Pennsylvania and the lovely city of Philadelphia is also just a train ride away, should students feel the need to leave the beyond-stunning campus. 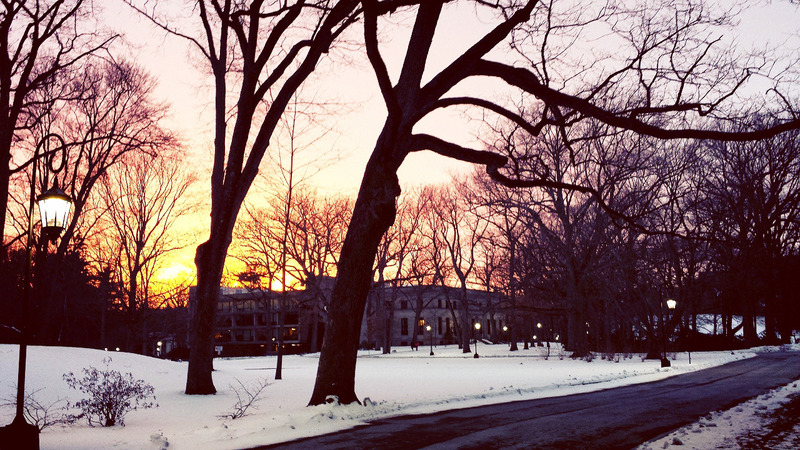 Bryn Mawr is a member of the Bi-Co, Tri-Co, and Quaker Consortiums, meaning that any Bryn Mawr, Haverford, Swarthmore, or UPenn students can take classes at any of the other institutions. Bryn Mawr is known for having the best food within these consortiums; you will often see students from the neighboring colleges eating in the dining halls. The traditions at Bryn Mawr really define the students’ experience. Lantern night, Hell Week, May Day, and activities like chanting the college cheer really makes the community at this college absolutely amazing. Note: there are special rules about the Anassa Kata chant! Students at Bryn Mawr also pay homage to Athena, the Greek Goddess of Wisdom. There is a statue of her in Thomas Great Hall, where students leave offerings for luck on their exams (amongst other things). Mount Holyoke College, otherwise known as “MoHo”, was the first of the seven sisters to be established. Located in a less urban area of Massachusetts, the campus features stunning red-stone buildings with a scenic backdrop. Mount Holyoke is a part of a college consortium with Smith College, UMass Amherst, Amherst College, and Hampshire College, allowing the students to take classes at any of those institutions. MoHo does not require applicants to send in test scores, which is amazing and really attests to the type of welcoming and supportive environment at the college. The college also hosts a tradition known as mountain day, where an unexpected ring of a bell on campus signals no classes for the day (so students can go take advantage of the state parks, obviously). Smith College is located in quaint Northampton, Massachusetts. Like Mount Holyoke, Smith is a member of the consortium that connects the colleges Mount Holyoke, Smith, UMass Amherst, Amherst, and Hampshire. Also like Mount Holyoke, Smith has a mountain day, where classes are unexpectedly cancelled to give students a nice break. Smith College fosters and amazing community with its unique residential life. The students stay in Houses, unlike “halls” or “dorms” seen at other colleges. Lots of students become really close with the other people in their house community. There are lots of activities that the college and other organizations hold on campus, but if nothing is appealing, students have the option to go off campus to any of the other 5 College members for parties, lectures, and other events. Also: Smith College does not require applicants to send in any SAT and ACT scores. Vassar College, now co-educational, used to be a women’s college a few decades ago. Although they now admit cis-men, they’re still a member of the Seven Sisters, and they still provide an excellent education for their students. Poughkeepsie, where Vassar is located, is a small town off the Hudson River with a small downtown area. This college is definitely not conveniently located to any big cities or a large number of other universities. It’s somewhat isolation creates an amazing community, though! They still hold true to their roots of empowering women, have gender-neutral bathrooms, and don’t really stick to any gender roles. Vassar has a really cool feature of their application, should applicants choose to take advantage of it. This piece is known as “YourSpace”, and applicants can basically show off any cool feature about themselves through a video, powerpoint, painting, photograph, short story, etc. Wellesley College’s motto says that their students are not to be ministered unto, but to minister. Their students surely embody this. Wellesley women are ambitious, motivated students who take advantage of their college just outside of Boston, Massachusetts. Students here can take advantage of the many connections with neighboring colleges and take classes at MIT, Brandeis, Olin, and Babson. The town of Wellesley itself has a nice downtown area with bookstores, a thrift shop, CVS, and Starbucks (which is basically everything a college student needs, right?). One of Wellesley’s traditions is Flower Sunday, where every first-year student is paired up with an older student, formally known as their “big sister”. Big sisters eat brunch with their littles, and buy them flowers, hence the “flower” in flower sunday. Wellesley also has a unique dining culture – the meal plan here is mandatory all four years, but features an unlimited amount of food at all five of the dining halls. There are also no card swipes or limits to when/where/how much students can eat (or bring back to their rooms). All of it is based on the Honor Code, which students at Wellesley take very seriously. Students can also hear the bells ringing from Galen Stone Tower between class times (evidently, on a clear day, students can see Boston from the top of it). Originally from the Philadelphia suburbs, Debra is a first-year college student in Wellesley, Massachusetts. In her free time, you can find her roaming the streets of Boston, attending concerts, bragging about women's colleges, blogging, drinking coffee, and procrastinating. She is a first-generation college student that aspires to go to law school one day and change the world (on a somewhat-small scale).